I'm here today to share with you a layout I made for Prima's new challenge called Make it Prima and for the More Than Words challenge for February. 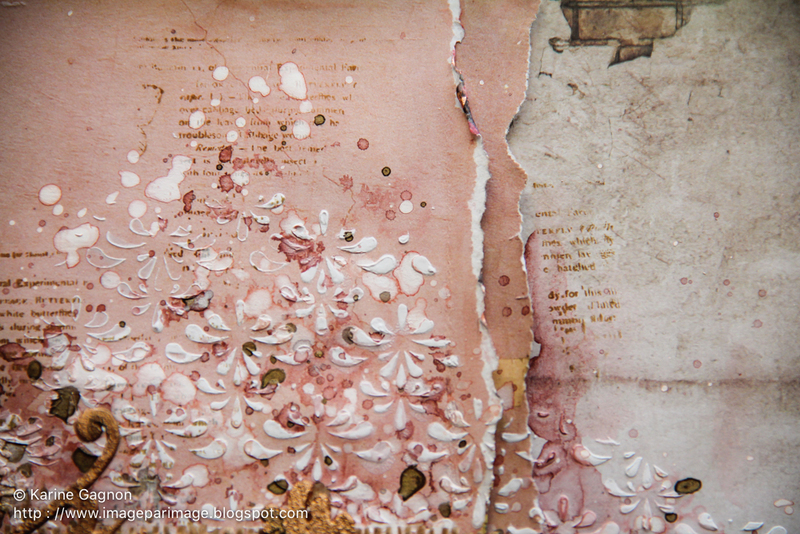 I used papers from the Rossibelle collection. I fussy cut some of the flowers and leaves from a paper to spread amongst my flower cluster. 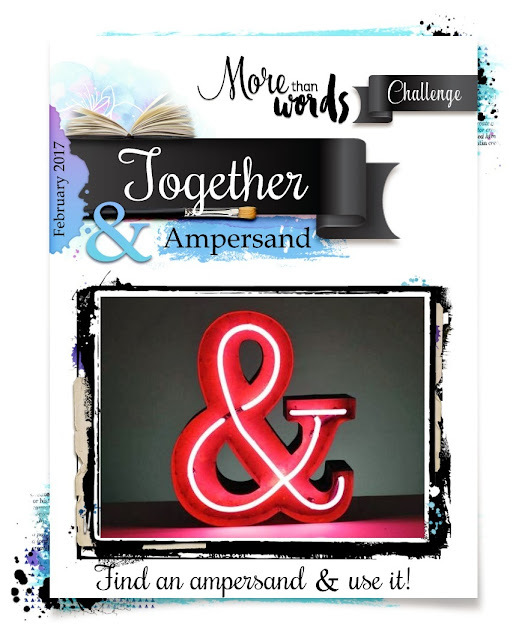 The ampersand is the requirement from the More Than Words challenge for this month. It's made of plastic and I painted it to match my layout. 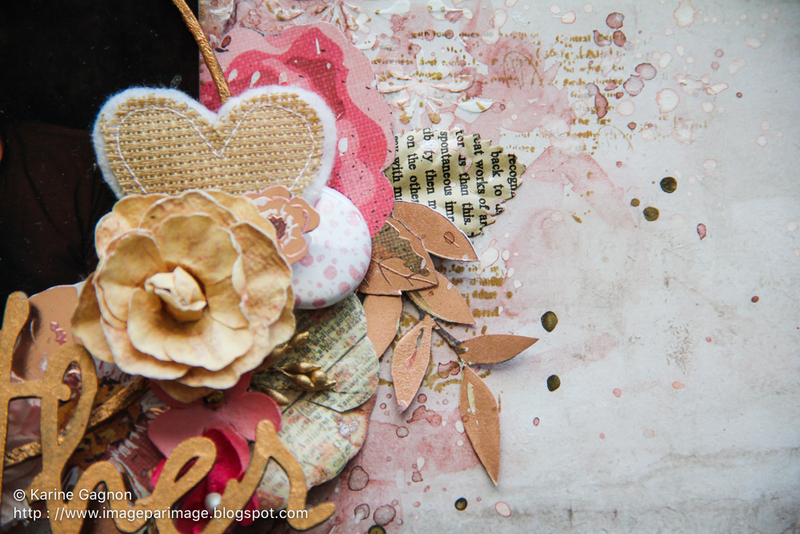 My chipboards are from 2Crafty chipboard. 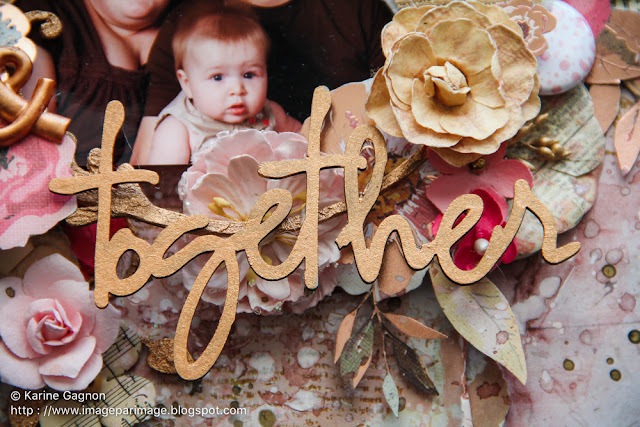 I used the title Together which I painted with bronze metallic paint. 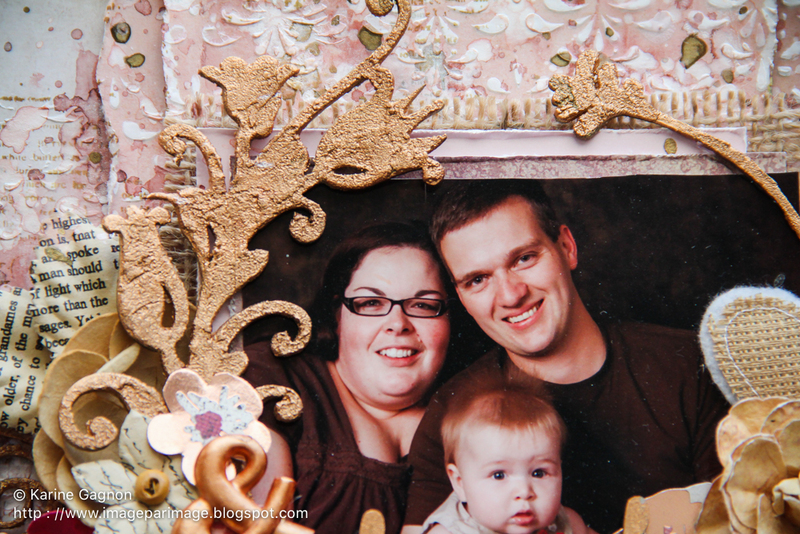 I did the same with the 5'' Floral Frame that frames my picture. Flower are all Prima, from different collections. The Corner Whispy Vines piece underneath my cluster to the bottom left is also from 2Crafty and is painted with the same bronze paint. 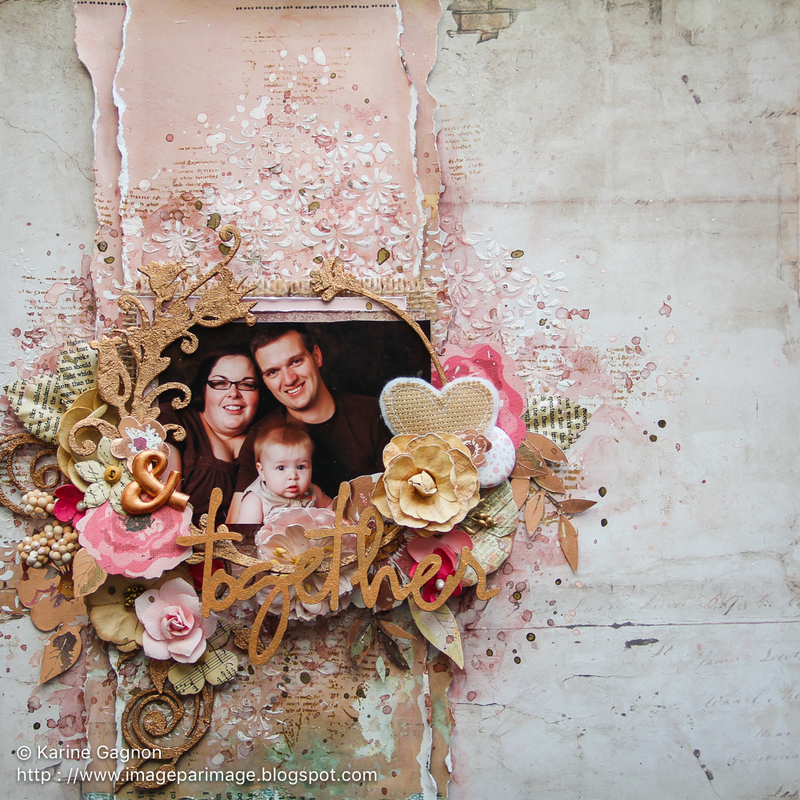 I also used a stencil from Prima with modeling paste on my background. The stamp is also from Prima. Ben là! Est débile ta page!!!! Rose, tu me gagnes d'avance.... hihihi Puis j'adore la mise en page et même si tu as pris le même papier que ma page là... l'effet est complètement différent! ahah Merci pour ta participation à More Than Words!!! 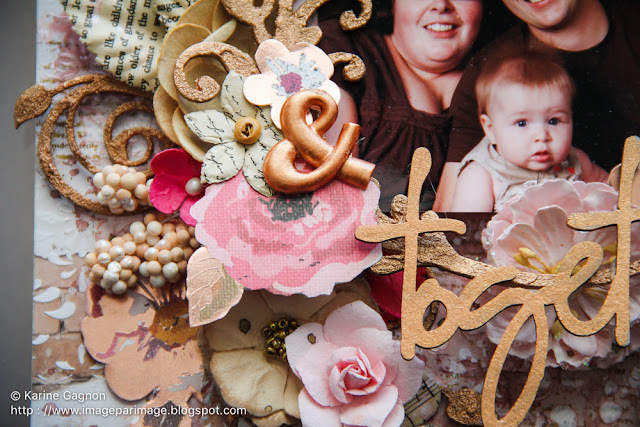 Wonderful layout!! !Thanks for playing along with us at More Than Words. What a gorgeous page!! Thank you for playing along with us at More Than Words! Super belle ta page bravo, j'adore le sketch! Merci d'avoir participé au défi de MTW! Wow absolutely gorgeous Thank you so much for joining us at More than Words. 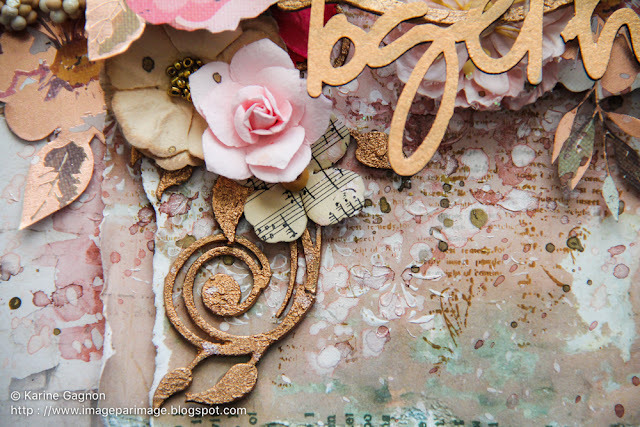 Oh wow Karine - this is amazing! I know how hard it is to take good pics sometimes - winter can be tough! Thanks for joining us at More Than Words.